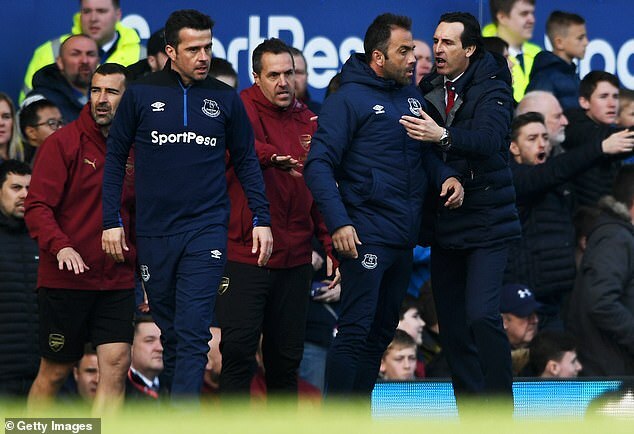 Mesut Ozil got involved in a touchline row between the two managers as the German launched his coat in the direction of Everton boss Marco Silva. The creative midfielder had not long taken his place on the bench having been withdrawn with Arsenal chasing the game at 1-0 down. 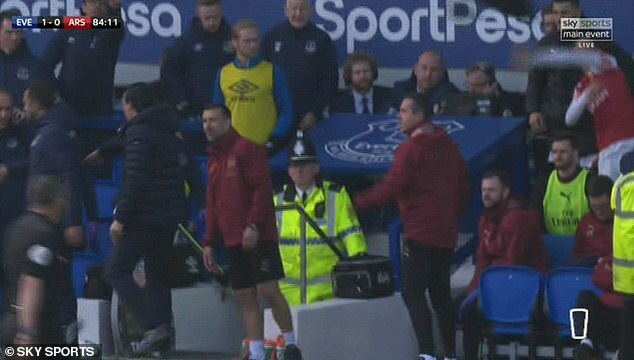 But when Shkodran Mustafi produced a rash challenge on Dominic Calvert-Lewin in front of both managers, the pair clashed and Ozil decided to get involved as he threw his jacket in the direction of a seething Silva. Tensions were running high with the game in the balance as Arsenal looked to find an equaliser in a bid to strengthen their bid for a top-four finish. And emotions spilled over when Mustafi halted an Everton counter-attack by ensuring Calvert-Lewin was taken down on the sideline with the ball knocked into free space. The Arsenal defender was booked but both managers argued with each other about the incident, both holding very different views. 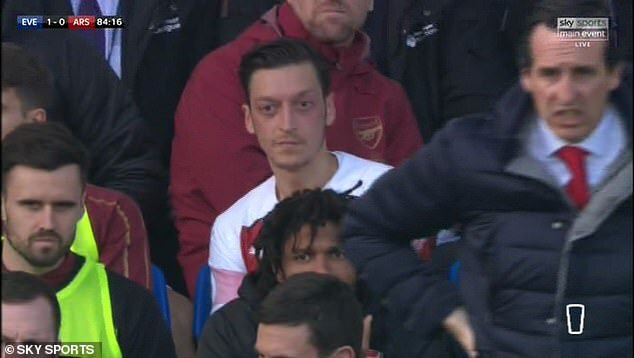 Ozil’s involvement soon gathered momentum on social media on what proved another disappointing afternoon away from home as Emery’s side slipped to another defeat. Arsenal struggled to create meaningful chances as they missed the chance to keep the pressure on rivals Manchester United, Chelsea and Tottenham. The 1-0 defeat – Phil Jagielka got the only goal of the game in the first half – sees Arsenal stay fourth after 32 games, one point behind Tottenham in third and only ahead of fifth-placed Chelsea on goal difference.